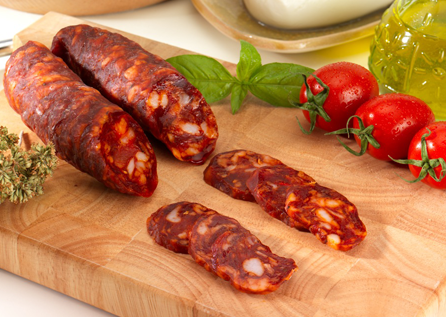 Sausage of Calabria PDO is woven into the characteristic shape of a chain length ranging from 70 to 80 cm. The cut is medium-grained, natural or red vibrant red color. Its aroma is intense.